Chinese massage although very refreshing and energizing, is not intended to be an experience of pampering or relaxation . It is a form of deep tissue therapy. Chinese Massage as a part of Chinese medical treatment goes back about 4,000 years. Written massage textbooks began to appear as early as the fourth century b.c., along with the earliest Chinese medical texts. Massage appears to have developed alongside both therapeutic exercise. Hot stone therapy melts away tension, eases muscle stiffness and increases circulation and metabolism. The ditect heat of the stone relaxes muscles, also expands blood vessels, which encourages blood flow throughtout the body to reduce stress and tension. Swedish Massage technique uses long, relaxing strokes, kneading, friction, gliding, shaking, and tapping to set a chain reaction that produces a positive effect on all systems of the body. The relaxing, light pressure is intended to release the body of unwanted strain and stress, relief muscle tension, enhance and maintain chiropractic adjustments, and improve circulation. Reflexology is the practice of massage, squeezing or pushing on parts of the feet, hands, and ears. This has the effect of benefitting other parts of the body and improving overall health. Welcome to Lotus Blossom Day Spa, Best Asian Massage / Chinese Massage in Tulsa! 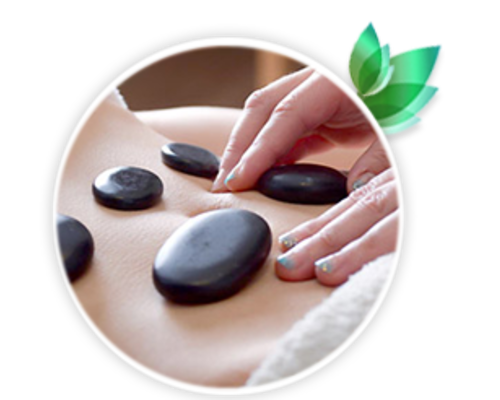 This therapy involves the application of water heated basalt stones, of varying sizes to key points on the body. This relaxes muscles and facilitates a deep tissue massage that creates sensations of comfort and warmth. The direct heat allows manipulation of a greater intensity than with regular massage. Authentic Asian Massage, the very best way to reduce stress, and heal from injury. Nothing heals your body like a Chinese Massage at Lotus Blossom Day Spa.